Sisters often share many qualities between them such as a predisposition to liking certain foods, a favourite perfume or maybe an unfortunate laugh that sounds like a goat coughing up a ball of wire. Much like biological sisters these two pubs also share some common traits which is why I’m reviewing them together. If I were to choose between them I’d suggest the Alma is the better of the two, but only marginally, situated directly opposite Wandsworth Town station its nice and easy to get to and a very welcome sight after a particularly grubby train journey from Waterloo. Both pubs boast what I would describe as `Keep Calm and Have a Pint` interiors which are so painfully trying to be inoffensive they offend me just like a Prozac fuelled Linda Barker effort on changing rooms would. The Ship suffers so badly from this I felt like I was in a naff museum cafe rather than a pub, the addition of a decommissioned phone box only serves to add to this faux feel, too much mdf and too many ketchup bottles. In The Alma’s mildly more attractive corner is the fact that it at least retains a ghost of its original character whereas The Ship is just a bar with a massive conservatory built over it and a cement factory next door to look out at. Both places suffer from being a little `la dee da` and stuffed with yummy mummy’s with prams the size of Russian battle tanks but The Alma at least has the space to cope with this, being admittedly quite pleasant to while away a pint in, whereas the Ship felt horribly cramped. 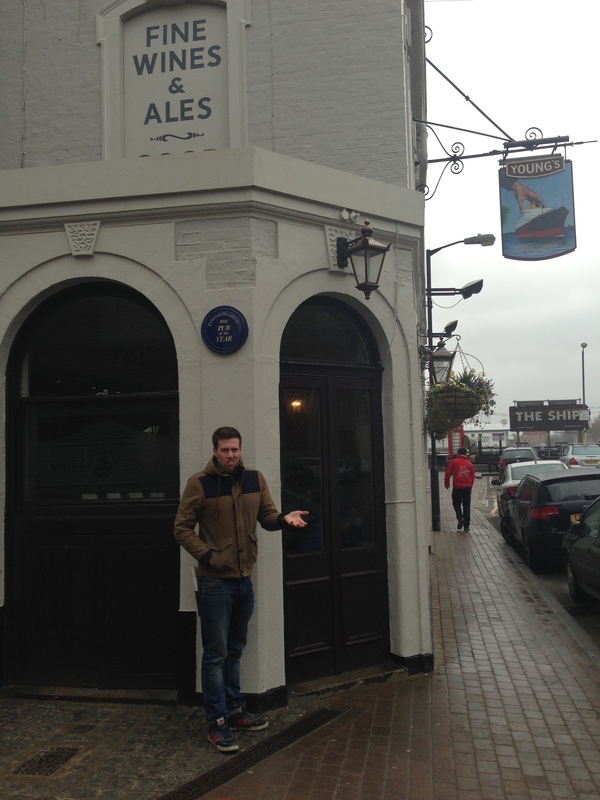 If you’re looking for the kind of pubs I favour with some earthy charm then these are not for you. Possibly the Ship is nicer in summer when you could sit out but given the next door neighbours are a bus depot and a petrol station I seriously doubt it. The Alma would suit for a relaxed date or a retreat to read the Sunday papers but it isn’t somewhere I’d set as a destination simply as a stop off to somewhere better.